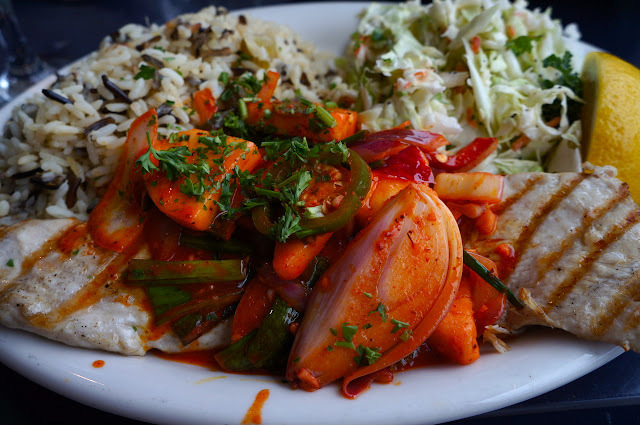 Each of their entrees comes with cole slaw, a choice of soup or salad and fries or rice pilaf, but I wish there were an a la carte option. I ended up giving most of my cole slaw and rice pilaf to Quinn. Nonetheless, both of our orders were superb. 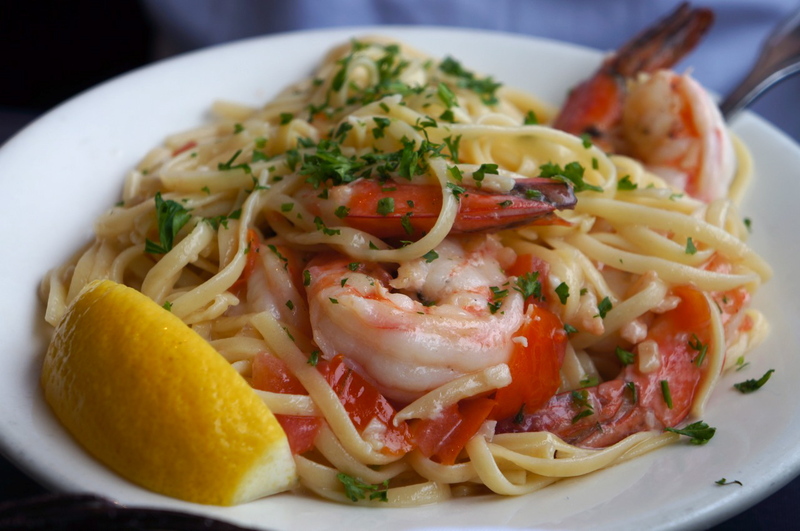 Quinn ordered the scampi: jumbo shrimp sauteed with white wine, lemon, garlic, and tomato. When he asked if he might have the scampi served with pasta our waitress acquiesced immediately. The garlic sauce was divine; the absence of cream gave the dish a rich taste without being too heavy or overpowering. 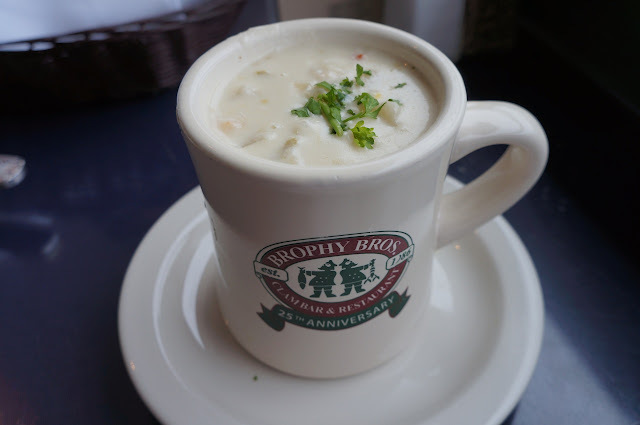 As I am a seasoned veteran to Brophy Bros and have tried several of their dishes, I tried to pick something exciting and bold. The mahi-mahi was a spicy delight, soaked in citrus juices, garlic, jalapenos, scallions, bell peppers, red onion, and pineapple -- then grilled. The filet fell apart when I grazed it with my fork, tender and moist and coated in the tangy marinade. The pineapple gave a welcome sweetness to the dish, definitely something I want to try in the future. Next time I might ask if there is an a la carte option. The prices are decent at $20-25 per entree, but only eating half the meal seems like a waste. I snuck a few bites of Quinn's shrimp linguini and was sufficiently stuffed. Next time you find yourself up in the Santa Barbara area, make sure you check out Brophy Bros for fresh seafood and, if you're into it, their full clam bar.